If you thought jeans were just for wearing, you are mistaken. Denim is becoming a hot fabric in home décor. 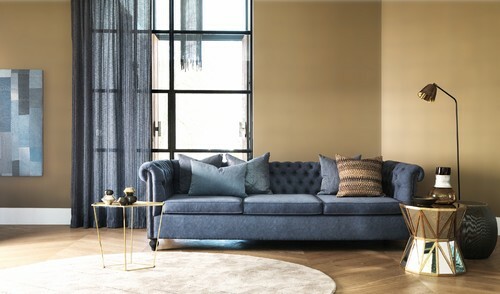 We’re seeing denim sofa coverings, pillows, table runners, ottomans, rugs and bedding. Denim is being lumped into a bigger trend of using more “utility fabrics” in home décor. Besides denim, those trending utility fabrics also include burlap, grain sacks, and drop cloths. All of these are heavier fabrics but they can add texture in designing your space. Another bonus: These utility fabrics are known for being less expensive and durable. That helps make denim great for rugs, sofas, or even a kid or teens’ bedroom. Denim wears and washes well so it can also be a great choice for high-traffic areas of the home. 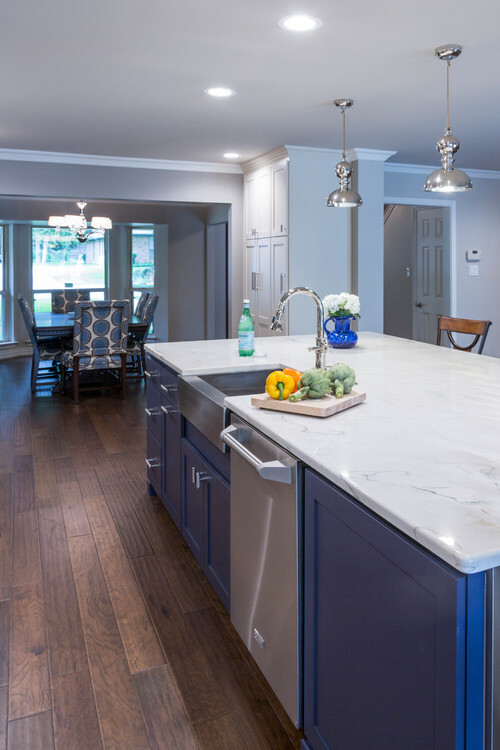 Blue is really taking off as the “it” color in home design this year, and obviously blue denim fits right into that. A more mainstream use of the jean trend may come from denim-inspired blue paint finishes on furnishings or on kitchen or bathroom cabinets. Can denim make a lasting enough impression on home decor to stick around? It’s a heavy fabric and it doesn’t exactly give off a cozy vibe. But in some areas of home design, it may very well find a niche. This is absolutely stunning decor. There really is no limit to creativity. It just takes the right canvas and imagination to make designs like this work!